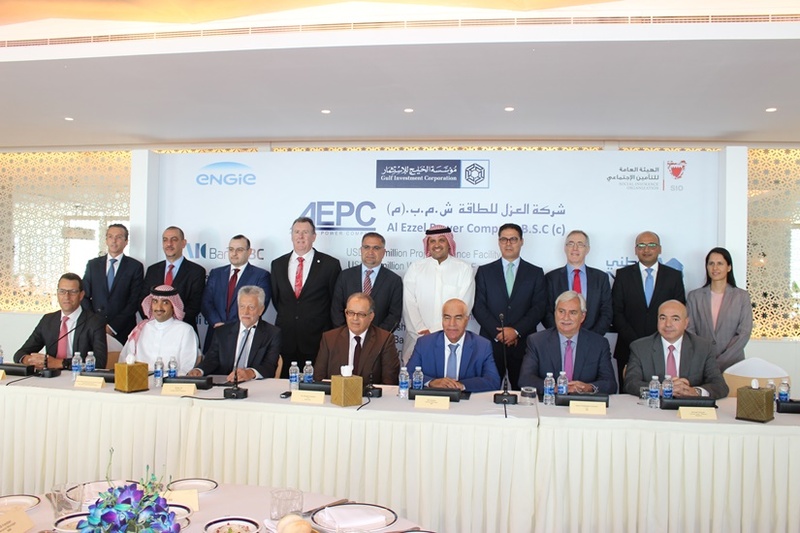 Al Ezzel Power Company, a key electricity supplier in Bahrain, celebrated today the closing of a $243 million new financing facility. This is a landmark achievement in the Bahrain infrastructure financing market, as the entire financing was extended by local and regional banks. Al Ezzel power project was awarded in July 2004 by the Bahrain Ministry of Finance and National Economy, following an international competitive tendering process that attracted five bids and resulted in a record low tariff. The 950MW Project was contracted on a Build, Own, Operate basis, utilising gas-fired Combined Cycle Gas Turbine technology supplied and constructed by Siemens. The company started commercial operations in June 2007 and the inauguration was held under the auspices of Crown Prince Salman Bin Hamad Al Khalifa. Al Ezzel instantly proved itself as a key reliable electricity supplier to Bahrain and today accounts for about one quarter of Bahrain electricity needs. “The success of this refinancing is a testimony to the confidence of the local and regional banks in the long-term credit worthiness of infrastructure projects in Bahrain. The new financing prepaid the balance of the loans provided in 2004 and extends the final maturity date to 2026,” said Shafic Ali, the Chairman of the Company. “We are pleased by the response and strong support on this transaction of the Bahraini and regional banks which demonstrates the strength of this asset. We received a significantly higher liquidity appetite than expected allowing us to implement an optimum refinancing structure within a short timeframe. ,” said Cedric Girod, the regional Head of Acquisitions, Investments and Financial Advisory at Engie. “Al-Ezzel has performed at a high level of operational availability and efficiency and produced consistently solid financial results,” he added. “We are very proud of the successful completion of this transaction and delighted with the collaboration with Al Ezzel’s executive team as well as its shareholders. The lending group is pleased with its continuous contribution and strong added value to finance the power sector in the Kingdom of Bahrain” said Saber Ayadi, the Group Head of Specialized Finance at Bank ABC, commenting on behalf of the lending group.